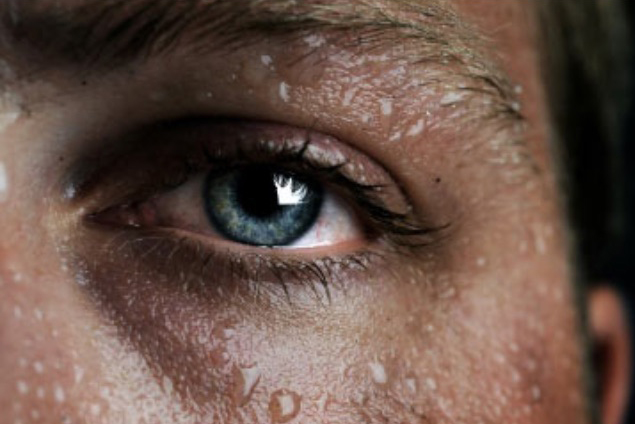 When you run, you sweat. In fact most physical exertion causes this. It can even happen with mental exertion – who has not sweated in a job interview or giving an important presentation? We sweat because we are trying to do something that we hope will bring positive benefit. In sport that benefit is to our health and well-being. In work that benefit is to our job and employer. In DIY and gardening it is to benefit our immediate environment – or perhaps that of our neighbours and community. Doing something positive in the world is a fulfilment of that divine injunction to humankind. Which, when accompanied by our intent, gives glory to God. Each drop of sweat that falls is therefore, in some way, a drop of glory. As I ran around Watermeads Country Park at 0730 this morning – dropping glory all over the place! – I was challenged by the parallel with prayers of blessing that we can pray over people. They are drops of glory that we can give away as part of our everyday lives. I sought to respond to this immediately, and so, every time I passed someone, I did not just give my usual cheery ‘Hello!’; instead I raised my hand in the gesture of blessing and said “God bless”. I must have crossed paths with around 20 people in my run. So that is 20 lives who may experience something of God’s blessing in their lives today. Blessing and cursing are God’s mechanism for His dealing with us. It is important to note that both are an expression of His love – although it is blessing that is His primary attitude towards us and cursing his ‘strange work’, a remedial act to draw us back from rebellion. God loves us too much to leave us in a place where we are estranged to Him, far off from His love and blessing, uninvolved in His eternal purposes that will bring significance and meaning and growth in our lives. To that end He responds to our rebellion against Him and His commands in cursing, to bring us to our sense, to our right minds, to repentance and reconciliation – back to the place of blessing. Interestingly there is a key difference in how blessing and cursing function. As humans beings we too can bless and curse each other. We bless as we release, by our prayers, words, acts and presence, God’s love in each other’s lives. We curse as we speak negative words, perform hurtful acts, distance ourselves from each other. For those who walk with God there is a promise of his protection from undeserved curses. However our words of blessing will always hit their mark. Go in peace and drip glory wherever you go.